After being stolen from the Patriots' locker room at NRG Stadium in Houston last month after the Super Bowl, quarterback Tom Brady's jersey was traced to Mexico, according to officials involved in the investigation. More than six weeks after New England Patriots quarterback Tom Brady's football jersey was stolen after the Super Bowl in Houston, sparking investigations from local, state and federal officials, the jersey has been recovered. Houston Police Chief Art Acevedo tweeted Monday that the jersey was traced to Mexico and "has been recovered with help of FBI & Mexican authorities." Both that jersey and Brady's jersey from the 2015 Super Bowl in Glendale, Arizona, were found "in the possession of a credentialed member of the international media," according to a statement from the NFL. 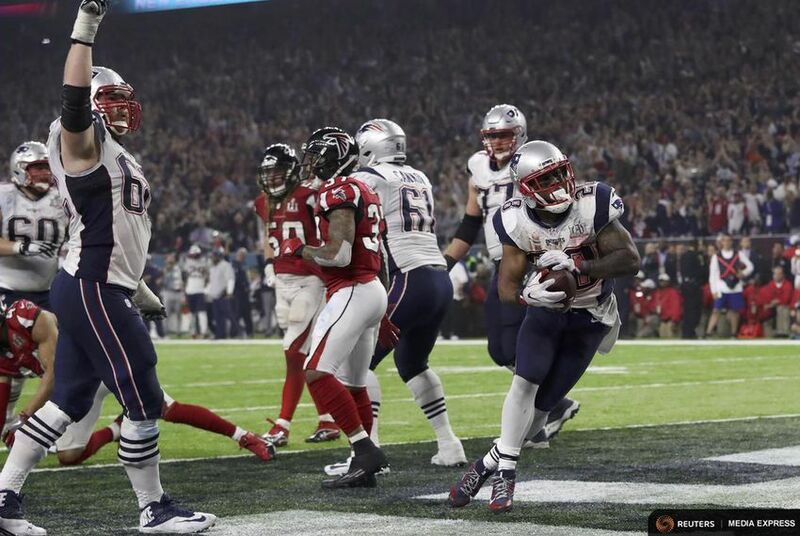 The Patriots beat the Atlanta Falcons last month at Super Bowl LI in Houston, 34-28. Brady's jersey was stolen from the Patriots' locker room at NRG Stadium in Houston, according to news reports at the time. Due to the Patriots' come-from-behind win in overtime, the jersey is considered a valuable piece of sports memorabilia. A day after the game, Texas Lt. Gov. Dan Patrick asked the Texas Rangers and Houston Police Department to help in the investigation of Brady's jersey. In a Facebook post Monday, Patrick thanked the Houston Police Department and the Texas Rangers for their help in locating the jersey. "I knew once the Houston Police Department and the Texas Rangers were on the hunt the jersey would be found,” Patrick wrote. “I always suspected someone in the media grabbed it because no one connected with the team would take it and the media was the only other group who had access to the locker room and would be carrying something to stuff it in. Note to the international media: Don't Mess with Texas." Lt. Gov. Dan Patrick asked the Texas Rangers and Houston Police Department to team up in finding New England Patriots quarterback Tom Brady's football jersey. Correction: A previous version of this story misstated the location of the 2015 Super Bowl. The game was played in Glendale, Arizona.